Corrects title information in iTunes. Is there a better alternative to matchTag? Is matchTag really the best app in Audio category? Will matchTag work good on macOS 10.13.4? 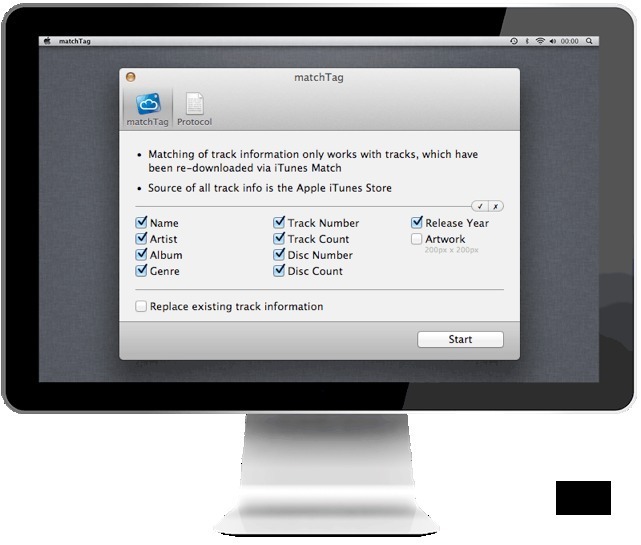 With matchTag it is really easy to perfect your music collection in iTunes. You know the problem of missing or incorrect title information? You're bored by searching this information all around the internet? Then you need matchTag. Basically matchTag searches the information from all iTunes Stores around the world and copies it directly to your songs. The only thing you need to do is to substitute the song in your library with the one which iTunes Match offers you. The you can choose if you want matchTag to replace the tags of your choice - or just all of them at once. matchTag needs a rating. Be the first to rate this app and get the discussion started!